Serena Williams is 36 years old but will turn 37 later this month. Last weekend, she came up just short of winning the U.S. Open, which would have tied her with tennis legend Margaret Court for the most Grand Slam singles titles in history. Still, at 36, Serena only needs two more Grand Slam championships to be atop the all-time list and become the greatest champion in women’s tennis. I bring up Serena’s age because it is as a testament to how incredible she is. In popular North American sports, we deem certain players the greatest in their respective game. Almost always, this title is bestowed upon an athlete when they have reached a certain age or have retired. For example, after a long, successful career, New England Patriots’ quarterback Tom Brady is now widely referred to as The GOAT. He is 41 and slow. Similarly, Barry Bonds surpassed Hank Aaron as the MLB home-run king at age 43. At the time, he was also slow and way less entertaining to watch. But Serena is special. She is still electric. These great players finally earn these titles as they near or pass the age of 40; while Serena, on the other hand, is just 36 and still plays with visible tenacity. In less than a year, with just two more Grand Slam singles victories, Serena could be the greatest women’s tennis player ever. But despite her exciting play on the court, she still faces massive scrutiny. The most important part of the rest of Serena’s career is eliminating subjectivity about her legacy. 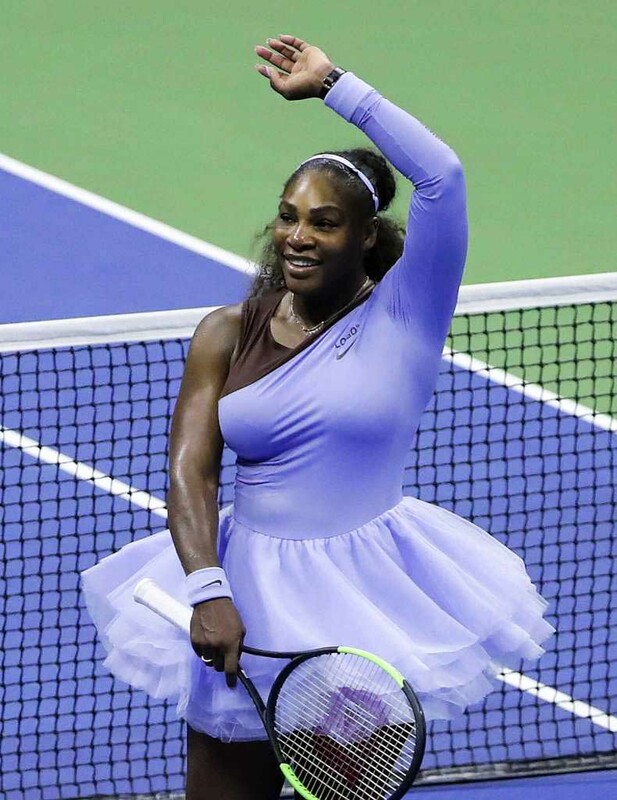 She already has the most all-time singles match wins, but apparently that isn’t enough to gain the full respect of the international community at large, as just a few days ago an Australian newspaper printed a racist cartoon depicting Serena throwing a temper-tantrum on the court. I watched her whole final match at the Australian Open against Naomi Osaka this past weekend, and when I learned she was fined $17,000 for an “outburst,” I was immediately prompted to write about it. Once again, Serena is 36, and anyone who has been in their sport that long should deserve at least some respect and credibility from their sporting community. But what if they are the number-one-ranked player in their sport? Probably a little more respect, right? What is continuing to happen to Serena is horrible and embarrassing to the tennis community. Oh, and about the “outburst,” it wasn’t even that bad. She got a game penalty (she lost an entire game when she was already losing the set) because apparently you can’t show emotion on a tennis court. Grow up, tennis community. People love when athletes show raw, in-game emotion: It’s entertaining and provocative. You let Roger Federer cry and roll around in the fetal position every time he wins a major championship but won’t allow Serena to break her racket because she is furious at a poor decision by the chair umpire. Serena is the GOAT in her sport, and it’s pretty easy to see, but, again, eliminating the subjectivity is crucial to how history will write about her. There will always be deniers of greatness, but the tennis community as a whole will have to acknowledge Serena as the greatest of all time once she is atop the Grand Slam singles list. So, why compare Serena Williams to Tom Brady and Barry Bonds? Because she is better at her sport then those athletes were in theirs (yes, past tense for Tommy Touchdown). Serena is so good that she has more Grand Slam titles than years registered as a World Tennis Association professional. Rightfully, she is the face of women’s athletics in most of the world. Other sports should take a page out of her book. She responds to inflated controversies and racially charged criticisms by winning again and again, letting her dominant play do the talking. It is critically important to detail Serena’s remarkable achievements in a sport that she still isn’t fully welcomed in. Also, she is still somehow one of the most underappreciated athletes in the world. She is incredible and performs in her sport like few athletes ever have. No one can say anything about her legacy after she wins two more Grand Slams, which I predict she will. That day will be a glorious one for sports, as a woman of color will take the helm as the greatest women’s tennis player of all time. Sexist on so many levels. Who let you write for this paper.